74-year-old man found alive 5 days after washington DC building fire. Workers discovered the elderly man in his home at the Arthur Capper Senior Apartments in Washington’s Navy Yard neighborhood. Authorities believe he had been in his apartment after the fire broke out and had a “sense of humor” when he was discovered. Officials did not identify the man but said he was in good condition. He told officials that he wanted to walk out of the building on his own, but workers made him sit in a chair and he was carried out, WRC-TV reports. He was transported to a local hospital with non-life-threatening injuries. When the fire broke out last Wednesday, Marines from a small nearby outpost rushed to the scene to assist in the rescue effort. All residents managed to escape safely. Mayor Muriel Bowser said officials are working to check that all tenants living in the building have been accounted for. Last week, Bowser said all the tenants were able to exit the building. 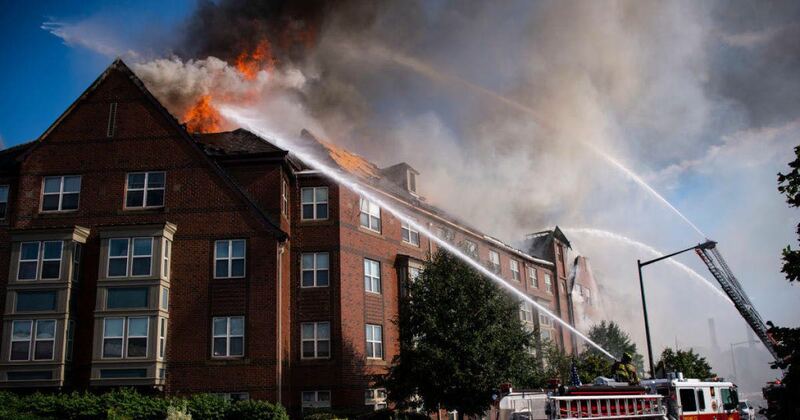 Officials said they used a list of tenants provided by the building’s management company. About 100 Marines, the building’s management and neighbors helped fire officials evacuate residents from the building. Fire officials said they were investigating reports that the building’s fire alarms weren’t working. Four residents were initially hospitalized with non-life-threatening injuries. The five-story building is a senior community in Capitol Hill that was established in 2007. It is located in the 900 block of 5th Street.